AMD is set to release its Llano and Zambezi processors soon. The company already started shipping the new 32nm parts to OEM partners a few weeks ago and thanks to numerous leaks we already have a pretty good idea of what the initial lineup is going to look like. Now, DigiTimes is spilling the beans on yet another piece of the puzzle: pricing. 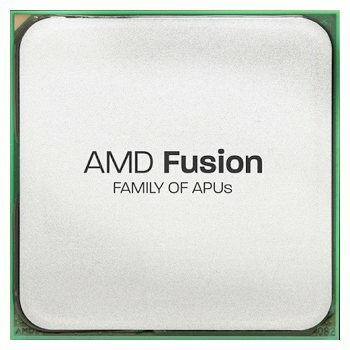 Citing the usual industry sources the site is listing prices for six Llano and four Zambezi desktop APUs. The former will be available in dual- and quad-core versions, starting with the E2-3250 ($70) and A4-3350P ($80) meant to compete with Pentium-branded processors. The A6-3450 ($110) and A6-3450P ($130) are both quad-core parts in standard and lower voltage variants, respectively, and should go against Core i3 processors from Intel. The more powerful A8-3550 ($150) and A8-3550P ($170) round out the mainstream desktop offerings with the sights set on the Core i5. As for FX-series processors, codenamed Zambezi, pricing is apparently set to begin at $220 for the quad-core FX-4110, $240 for the six-core FX-6110, and $290 or $320 for the eight-core FX-8130 or FX-8130P, respectively. These are meant to compete with Intel's Core i5 2500K/2500 and Core i7 2600K/2600 processors on the upper end. DigiTimes doesn't list prices for the mobile variants of AMD's upcoming chips but early postings from European retailers might shed some light into the matter. Specifically, a German site has listed an upcoming 15.6-inch HP DV6-6110SG notebook packing a quad-core A6-3410MX mobile chip, 6GB of RAM and a 500GB hard drive for €590. The chip in question is a 45W part clocked at 1.6-2.3GHz with 4MB total L2 cache and Radeon HD 6520G graphics. This is not the top of the line mobile chip from AMD but it should give you an idea of their prices. The company is expected to announce the AMD A-Series "Sabine" notebook platform at Computex early next month, as well as the AMD 900 Series chipset and the Vision 2011 branding under which the platform will be pushed. Their desktop counterparts will be announced in the following weeks and their actual release should come before the end of June, rumors claim.